Gloucester Retail Park is opposite Gloucester Quays outlet centre. Comprised of 13 units with occupiers including Dreams, Bensons for Beds, The Food Warehouse, Home Bargains, Gala Bingo, Burger King and Hobbycraft. Located next to one of the UK’s fastest growing outlet shopping destinations Gloucester Quays, this mixed use retail park is seeing significant development including a soon-to-open major flagship retail unit. 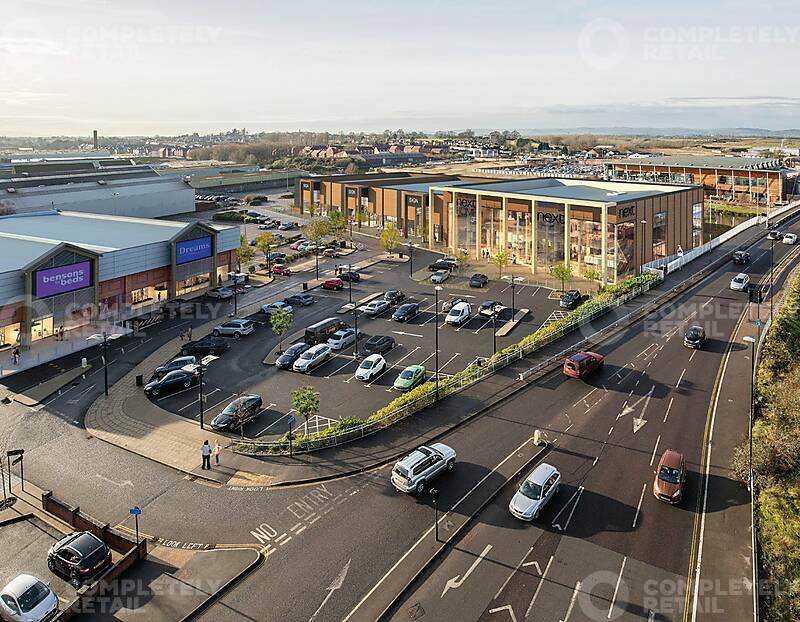 Surrounded by further investment and regeneration, Gloucester Retail Park forms part of the exciting and evolving Gloucester Docks development. Located within a 420,000 sqft major retail destination adjacent to Sainsbury’s and Gloucester Quays. Average dwell time of 59 minutes and a repeat visit of 38 times per year. Annual footfall of c. 2.1m people. The park has an average spend of £44. New 45,000sqft Next fashion and home store to open in 2018.